Although it’s a technology which has been around for several decades, there’s a lot of mystery and confusion around additive manufacturing and what it can actually do. Here are some of the most Additive Manufacturing FAQs (frequently asked questions). Additive Manufacturing FAQs (frequently asked questions). As briefly explained in our FAQs, Additive Manufacturing is a process of creating a structure or product using technology which builds the item up layer by layer (i.e. by adding). Using a combination of special machines – often referred to as printers – and computer software, complex shapes can be created. Lasers heat up the material which is held in a cartridge, then superfine layers are placed down in a cross section. This cross section is gradually built up from the bottom to the top, with the software instructing the printer where and when to lay down the material. The instructions originate from a CAD (computer aided design) drawing, which fully illustrates all aspects of the item to be manufactured. The CAD drawing is saved as a file (called a blueprint) and it’s this blueprint which is used to build the item “layer by layer”. 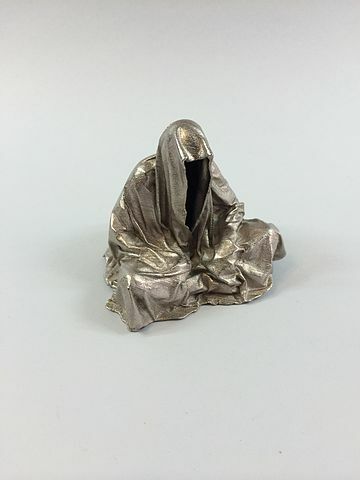 Very complex shapes can be created in this way and in the past where welds may have been required to join together separate components, a single piece can now be cast using Additive Manufacturing. This means there’s not just greater strength, but far more intricate shapes can be created than with conventional production means. The additive process means there is far less waste, as previous manufacturing methods were normally subtractive (i.e. removed materials). Additive manufacturing processes will benefit from fiber laser cleaning (read our FAQs here) both in surface preparation and on final parts manufactured. The materials which are to be used to create the product need to be loaded into the printer and capable of being laid down in microscopic layers. This typically means a powder or a liquid form. Polymers (such as ABS, PLA, PVA and polycarbonate) and metals (e.g. gold, stainless steel, silver, steel and titanium) are two of the most commonly used materials, with the former more popular in the consumer market and the latter used in industry. However, there are a number of other materials which could potentially be used too including ceramics, glass, resin or ultimately even human cells. How do the materials create the finished item? There’s a number of different processes which can be used in Additive Manufacturing, but as a general rule, as the material is laid down, it needs to be fixed into position. Binders can be extruded along with the raw materials which harden and hold the structure together. In some cases, sintering or melting processes are used which liquify the powder, allowing it to set in the required shape. Lasers are used to melt or sinter the materials into the required shape, sweeping over the cross section and fusing the powders into the design which matches the software model. Once each minuscule layer has been treated with lasers, the bed moves down a single layer – often just a fraction of a millimetre – so that the next lot of powder or liquid can be printed out. Supports can sometimes be required whilst the printing is in process; these can be removed or dissolved once the process is complete leaving only the finished structure. Once the final item / part is ready other fiber laser applications such as marking (read our FAQs) and engraving (read our FAQs) can be applied. Are additive manufacturing and 3D printing exactly the same thing? 3D printing is a far more consumer-friendly phrase and it’s one which has become popularly used for additive manufacturing in general. In reality, there are some subtle differences and the term “additive manufacturing” can be used to refer to other processes such as Rapid Prototyping whereas 3D is far more restrictive. Although there are differences, very often the two phrases are used interchangeably, particularly in the popular press. Is 3D printing just a gimmick? Although it can be used for a wide variety of superficial uses, and many of these have been used to demonstrate the wide range of potential with Additive Manufacturing, it has a number of potentially vital uses. In medicine, tissue cells and bone have been regrown with the use of Additive Manufacturing, and there’s potential that in the future organs could be created from special stem cells this way. If this becomes possible, transplant waiting lists could be a thing of the past, and the possibility to recover following an illness or an injury will be far greater. Additive Manufacturing is one of the biggest potential developments in modern medical science. But its uses also extend to other industries too with aerospace, defence and the automotive to name but a far which already rely on it. Any industry which requires precision engineering has the potential to become transformed with the use of Additive Manufacturing. Additive Manufacturing offers a number of advantages over traditional manufacturing methods, such as flexibility, speed and cost reduction. As Additive Manufacturing is by definition an additive method, there’s far less wastage. Any powder left over in the machine can be reused for the next project so there’s nothing which needs to be scrapped. Conventional methods are subtractive, removing material (e.g. ablation (read our FAQs), cutting (read our FAQs) or drilling (read our FAQs)) to get the final result. This can result in up to 90% of the material ending up in the bin. The production of lightweight (hollow) components through additive manufacturing processes has reduced the weight of components produced significantly. The layer by layer manufacturing process makes this production method now viable. In particular, this has meant rapid adoption in Aerospace and Aviation industries, which are always striving to reduce component weight to achieve savings in fuel consumption. A major application of additive manufacturing is rapid prototyping. This ideally suits the 3D printing process and saves money when compared to set-up costs of traditional methods. But material economy is only one reason why Additive Manufacturing is so much cheaper for companies. The precision which can be offered means that the quality is better, and the overall production time for getting an item to market is slashed. Speed is a major benefit of the additive manufacturing process. Processes such as welding (read our FAQs) can be eliminated by planning for the weld in the additive manufacturing design, eliminating a common problem of the past – joint weakness. The flexibility over the design also means that there’s no need to have a “one size fits all” approach enabling companies to create custom moulds and tooling easily and cheaply, resulting in more cost-effective processes. This means organisations don’t need to stock-pile tools and have storage areas for tools, which take up valuable space. What are some of the main applications for additive manufacturing? The above are just a few examples, also read our infographic and article on this topic here. Will Additive Manufacturing replace traditional methods of manufacturing? In some cases, this may well be the case because of the many advantages offered by the technology. However, certainly at present, Additive Manufacturing wouldn’t totally replace existing manufacturing methods. 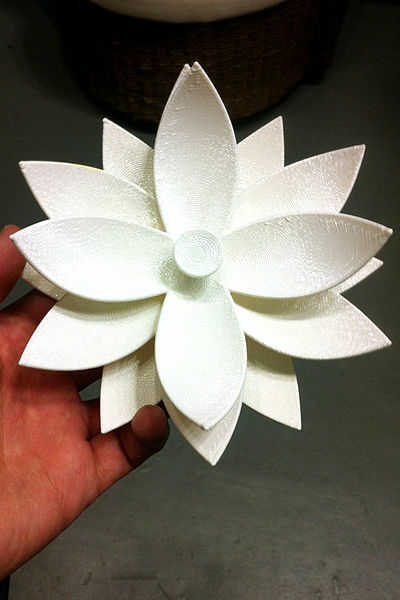 Although Additive Manufacturing is very quick at low volumes, it can’t yet match the rapid production at high volumes. 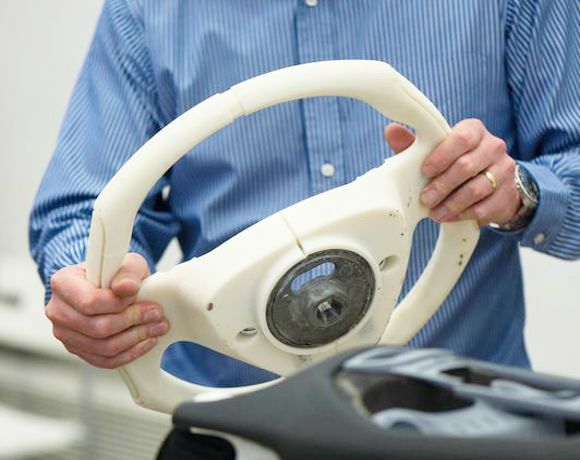 It may contribute to the process by helping to create a prototype, or the moulds, but the technology won’t be used for the actual production when large numbers are required. In addition, Additive Manufacturing doesn’t yet have the elegant design features that can be achieved with conventional means. Multi-colour Additive Manufacturing printers have just started to become more advanced and improving the final appearance, but conventional methods certainly still have the edge in this field, at least for now. If you have any further questions, please feel free to get in touch as We will add further FAQs as time progresses. Please feel free to call us on +44 (0)1489 779 696 or complete our online enquiry form instead, click here to register for updates.